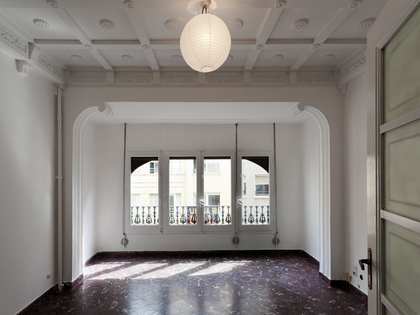 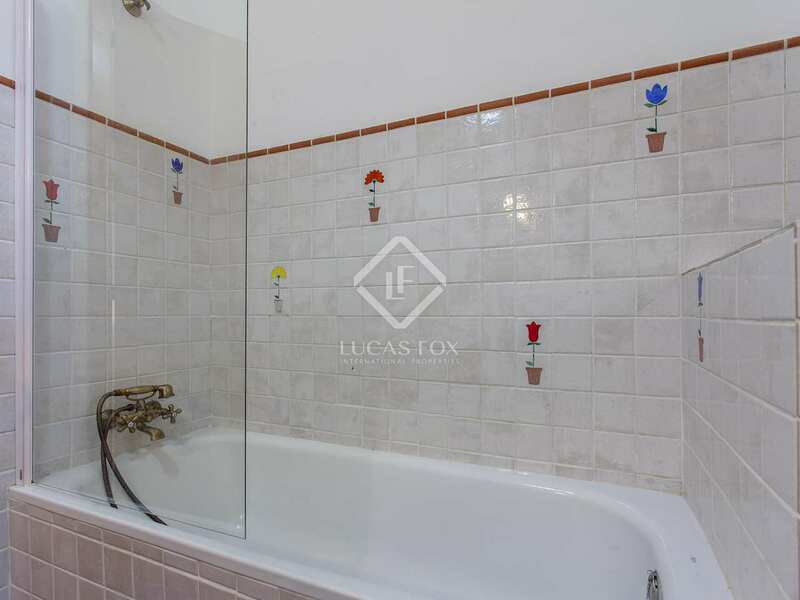 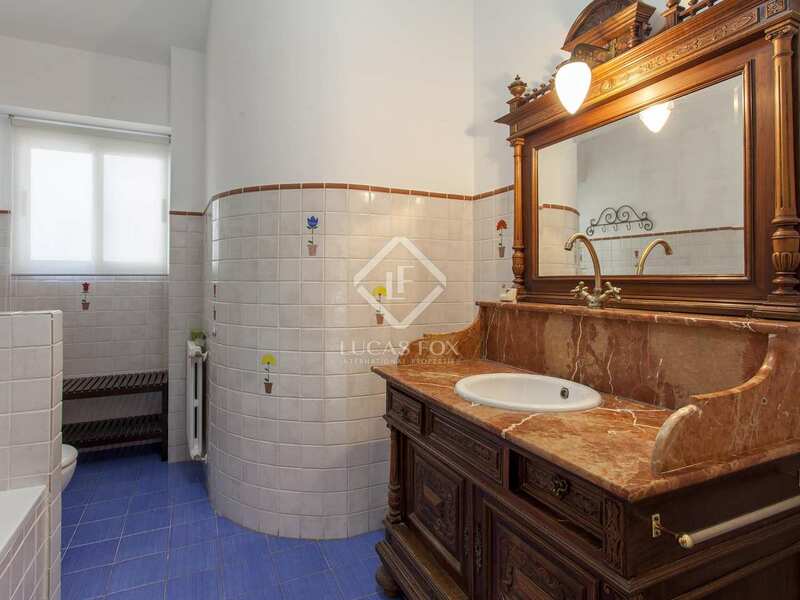 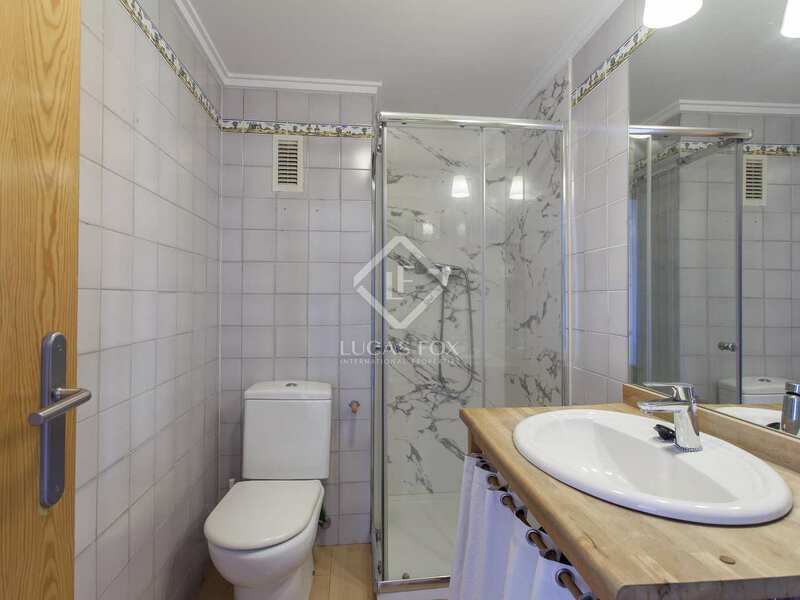 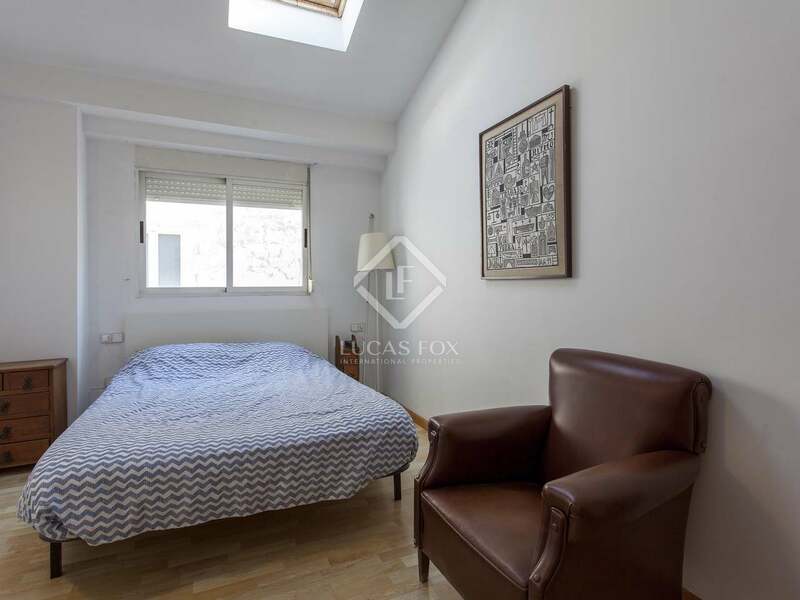 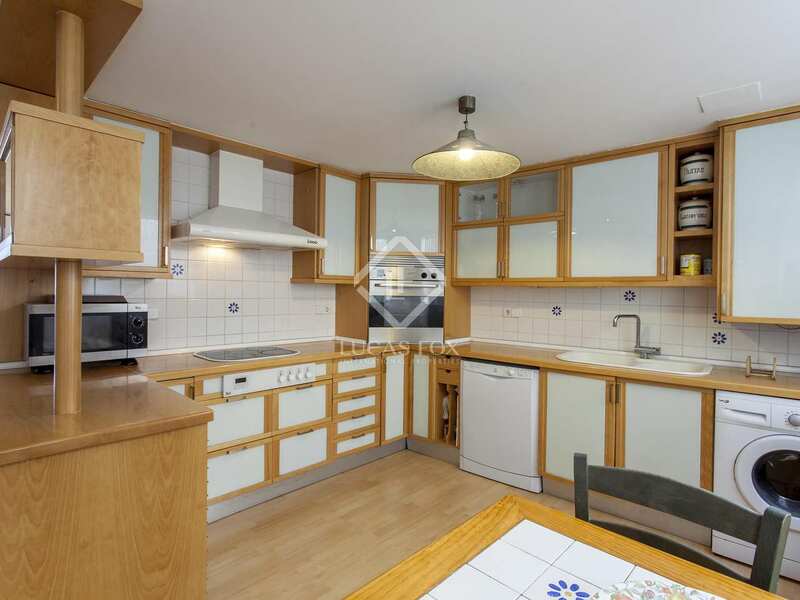 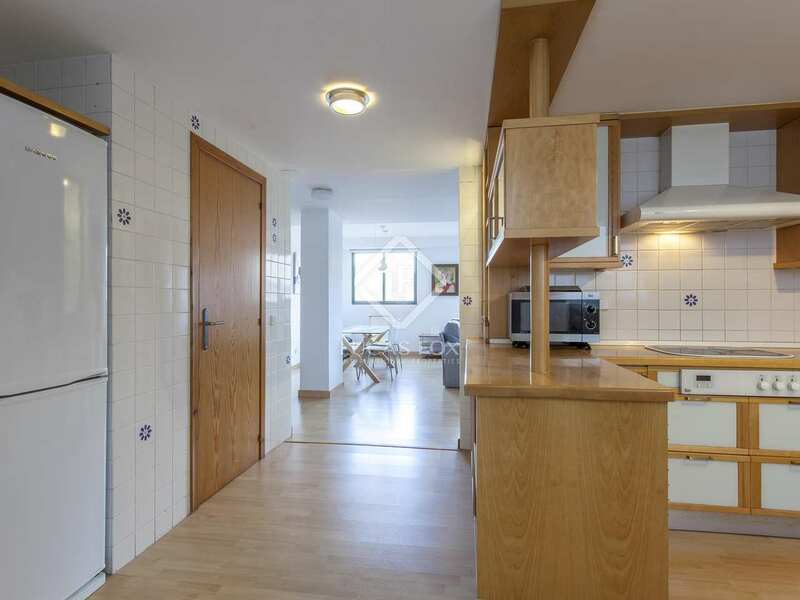 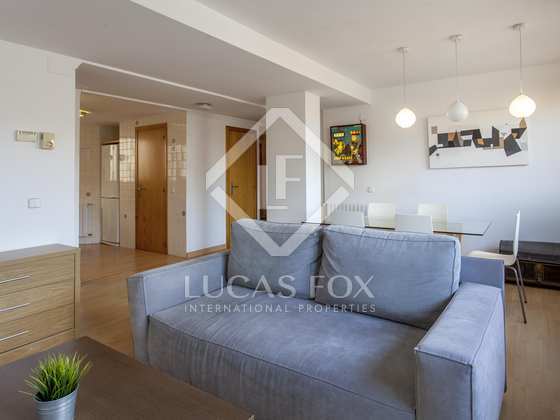 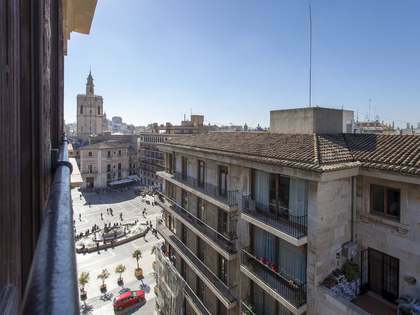 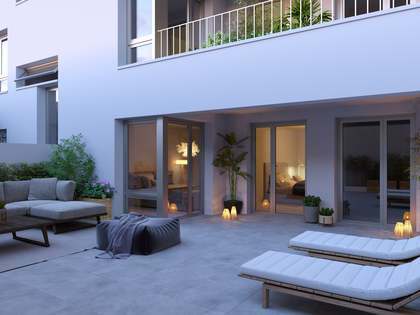 3-bedroom duplex penthouse in a modern building near Plaza de la Reina and the Turia Gardens. 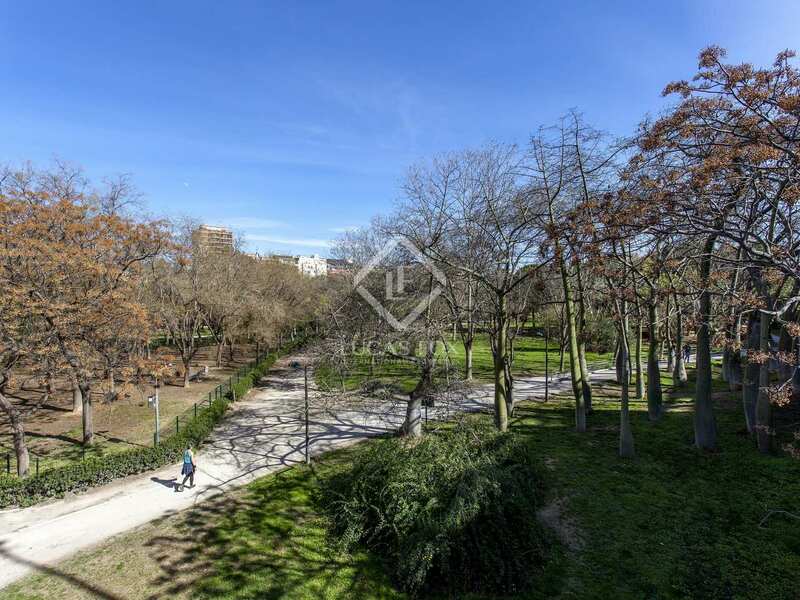 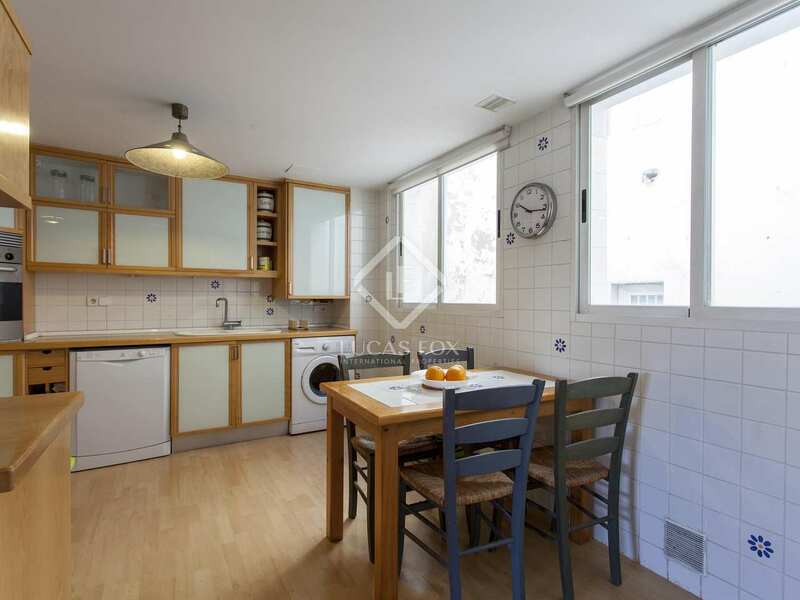 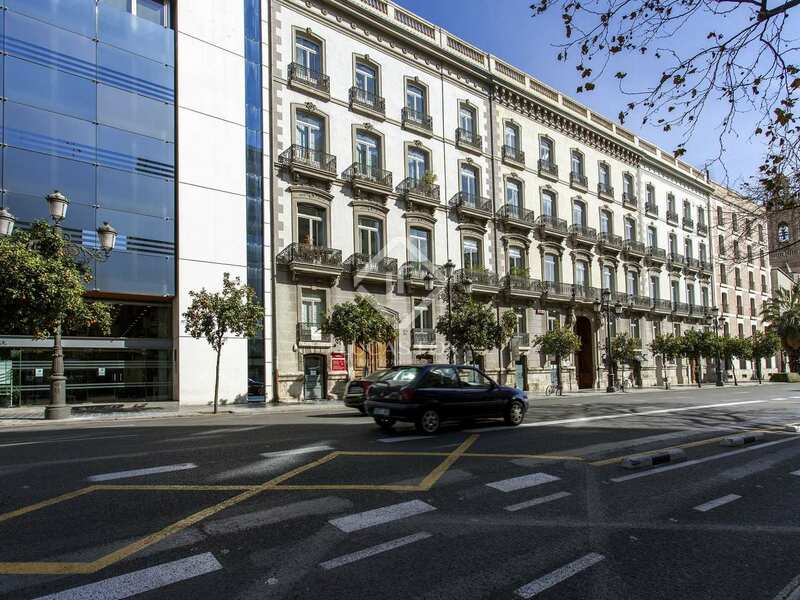 This 140 m² property is located in a late 1990's building in Valencia's Xerea neighbourhood, just a short walk away from Plaza de la Reina and the Turia Gardens. 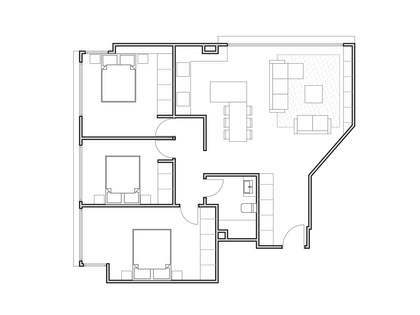 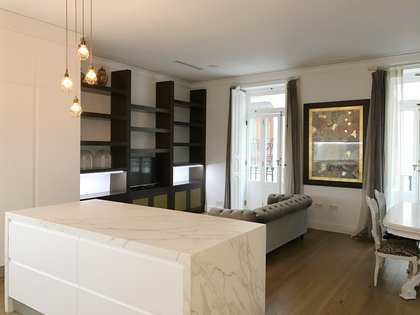 It is a duplex penthouse with a living room with a small storage space, an open kitchen with a utility area and a bathroom on the first floor. 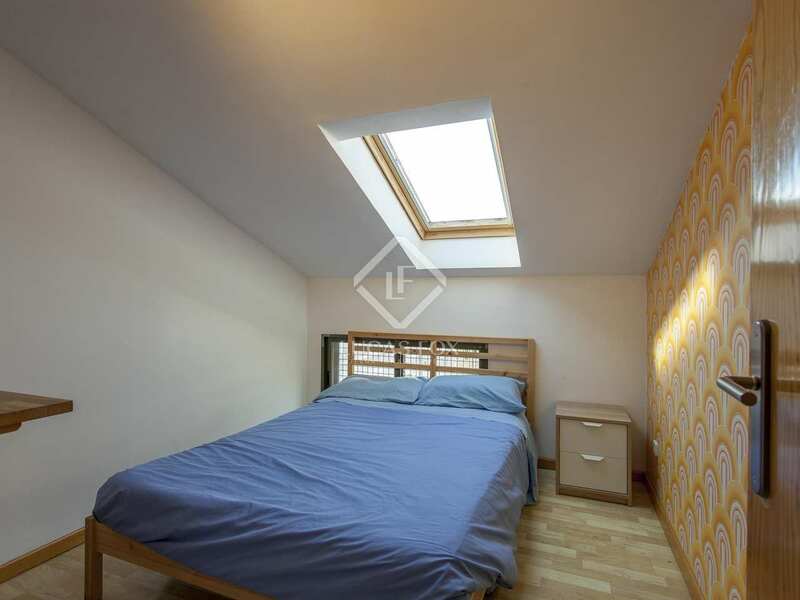 The top floor offers 3 bedrooms with charming sloping ceilings and 1 bathroom. 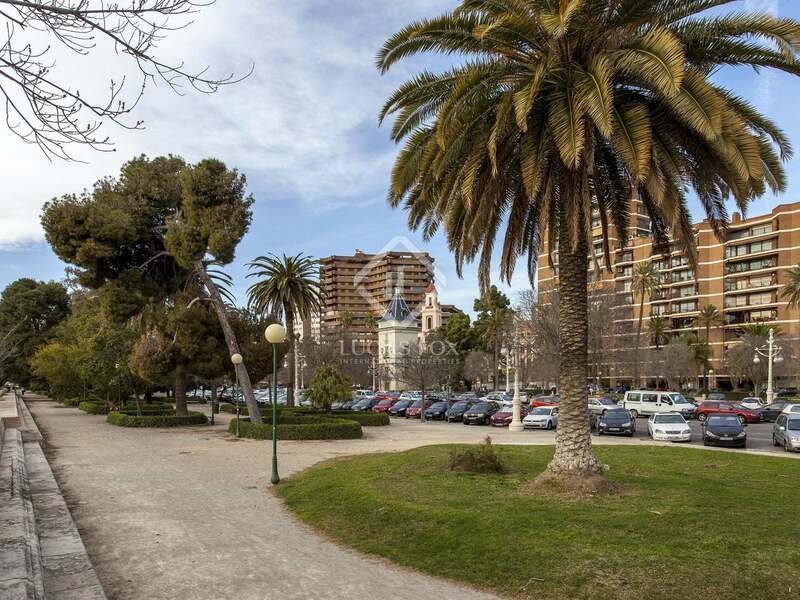 There is the possibilty to acquire a garage parking space in the same building, price on request. 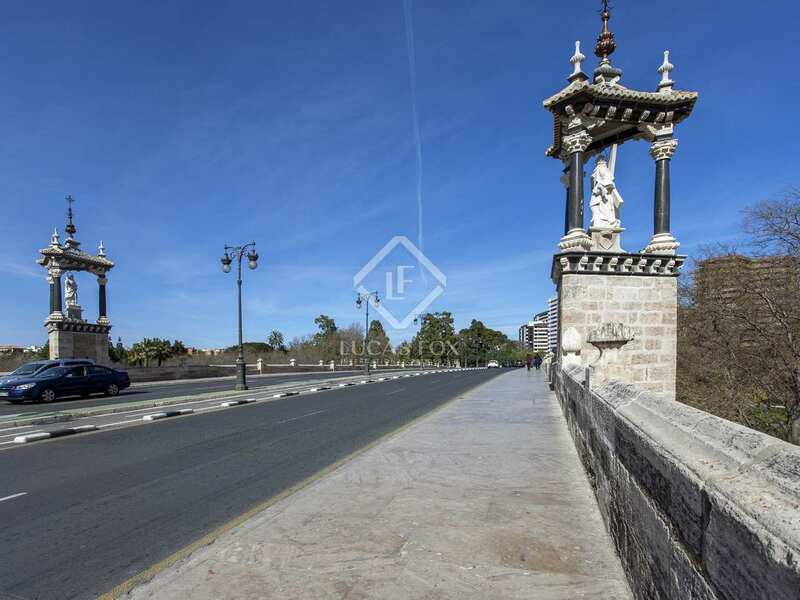 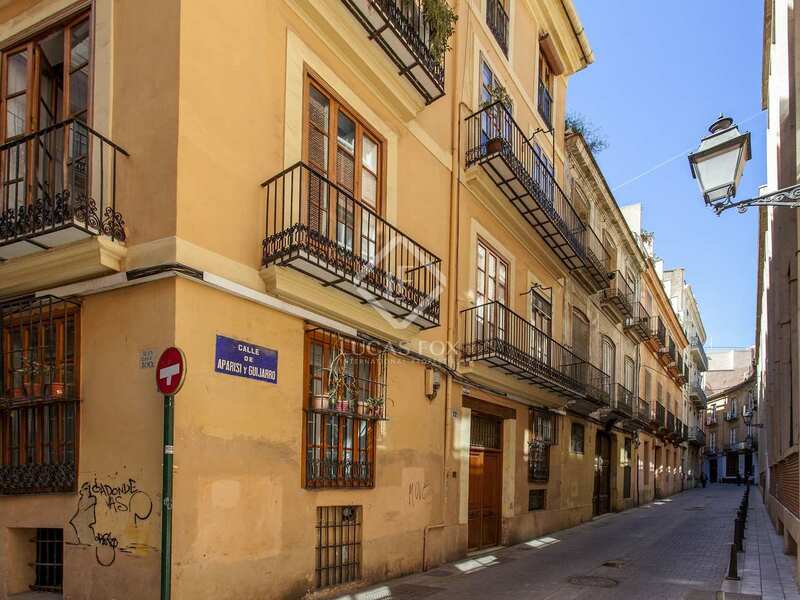 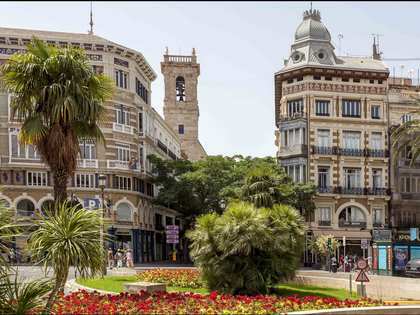 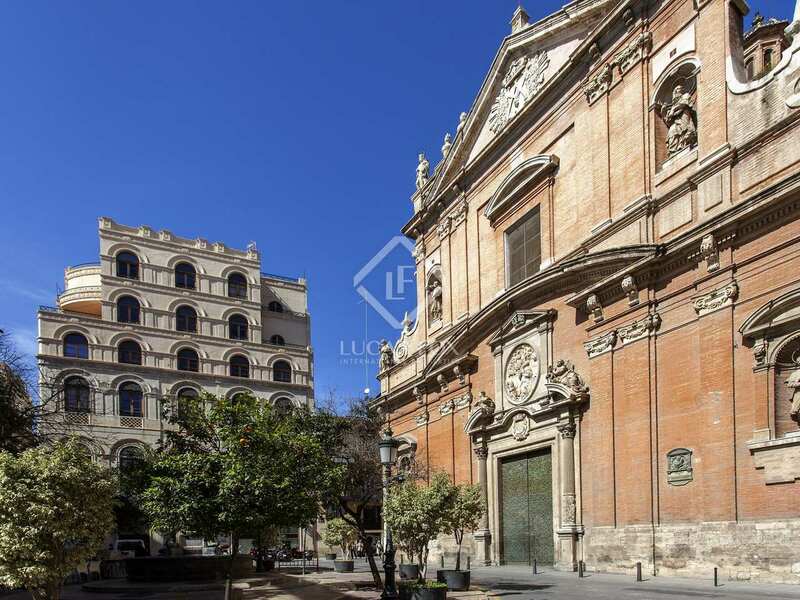 This is a good opportunity to acquire a spacious property near Valencia's main places of interest. 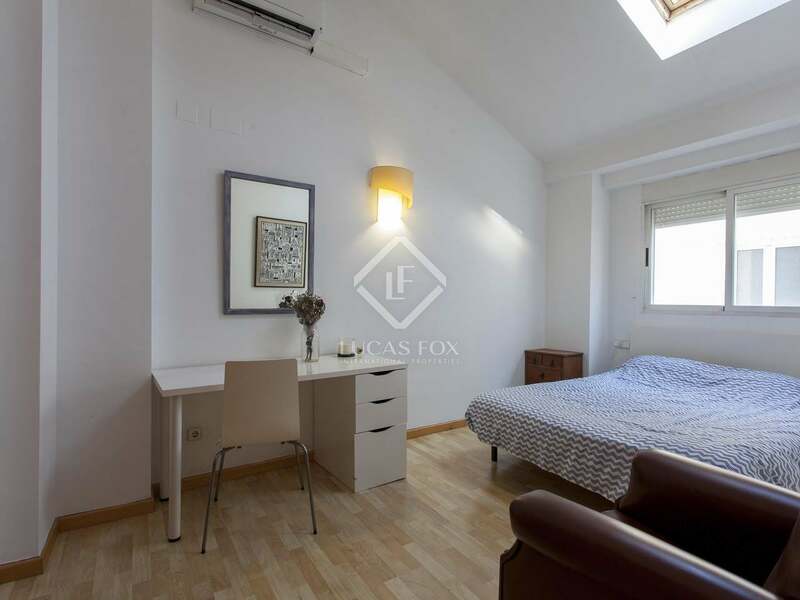 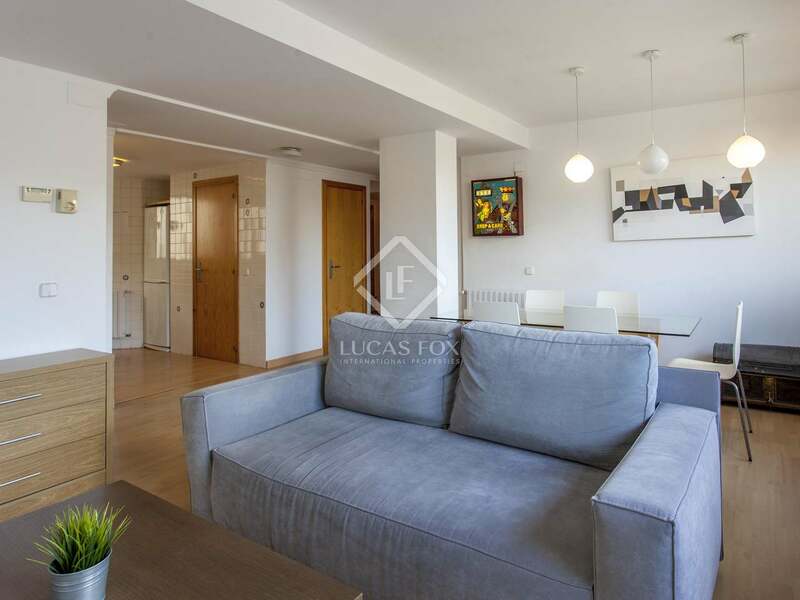 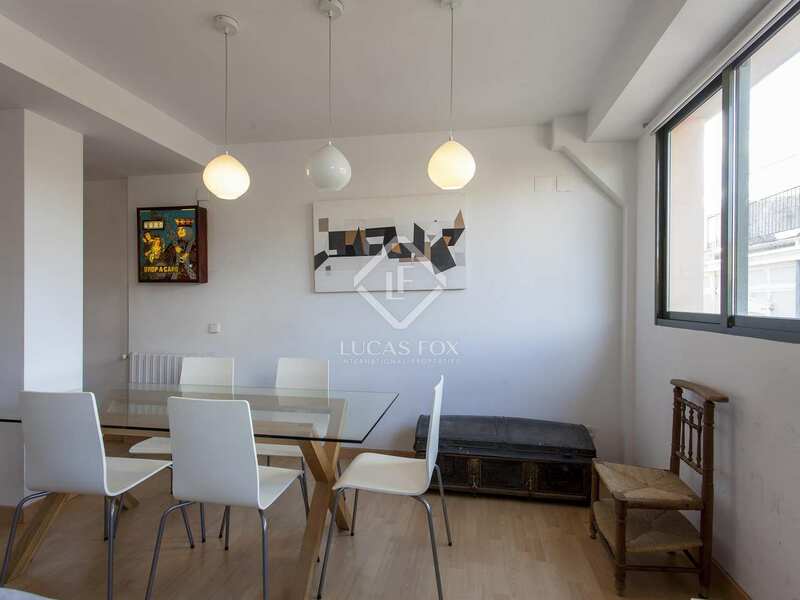 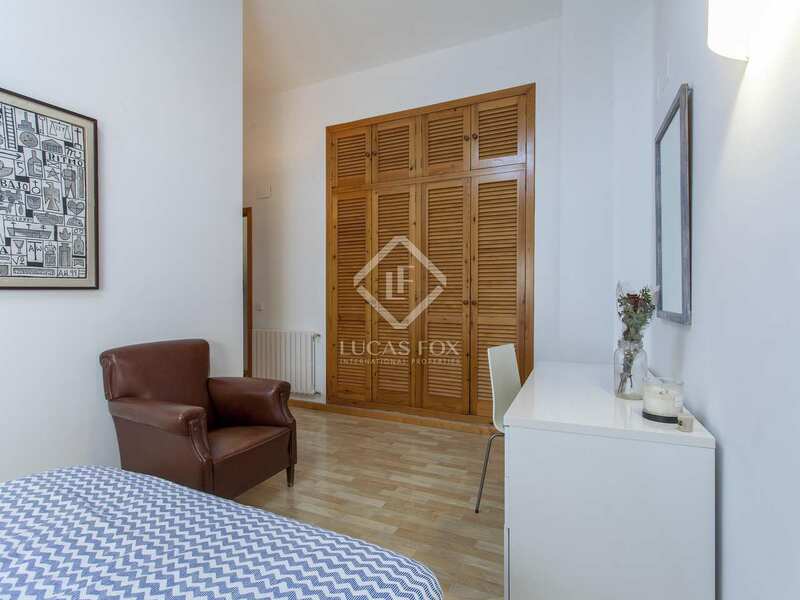 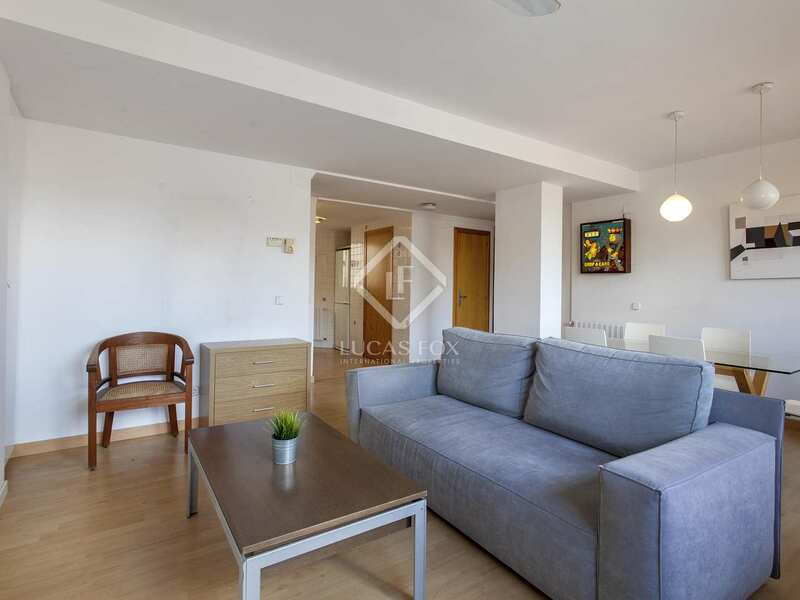 Duplex penthouse in a modern building just a few hundred metres from Plaza de la Reina and the Turia Gardens, in the Xerea neighbourhood of Valencia City.